PARTI RAKYAT MALAYSIA - PRM: Rohana Ariffin:- Are we ready for a two-party system? Rohana Ariffin:- Are we ready for a two-party system? Are we ready for a two-party system? FOR more than 50 years, the Barisan Nasional (BN) has used an array of laws and methods to silence dissent and perpetuate its own vision of reality as the only truth. But in recent years, the scenario has changed. The BN is now being challenged by bloggers and other citizens who are highly critical of the government, even to the extent of dismissing any attempts by the BN to rectify its wrongs. Trust towards the government is gone, and no one has a definite answer on how to regain this trust. It's like a personal betrayal where your partner or spouse has had an affair: after that, trying to rebuild trust may take ages. Just ask the urban youth — a vast number do not like the government. And these are potential, future voters. Perhaps the best way out is for the opposition to win in the next general election and form a new government while the BN becomes the opposition, like in two-party systems in some Western countries. But the question is, are we prepared for this? Are Malaysians mature enough to be able to weigh different perspectives? Can we do this without turning irrational and resorting to bashing personalities, issuing religious rulings and threats, or even becoming violent? 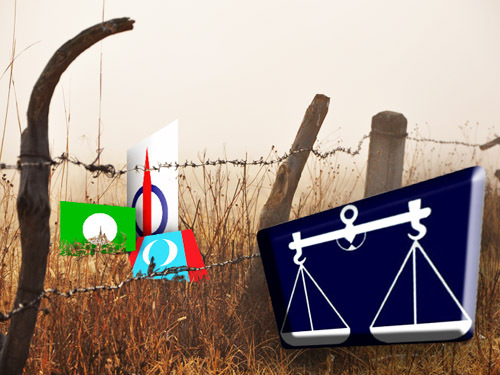 The worrying trend in Malaysia now is that we are divided into two main opposing camps. Two big unmoving blocks. Both sides seemed to endorse the view that "if you are not with us, you are against us". This is an archaic view, a carry-over from the politics of the 1960s that if a fence has two sides, you are either on this side or that side. It does not make room for compromise. Before 2008, when the BN had almost absolute power, independent candidates for any elections were mainly viewed as irritants and nuisances. People thought they only tended to split the votes because almost all of them obtained negligible votes, and many lost their deposits. But after the March 2008 elections, especially when Parti Keadilan Rakyat (PKR) and its Pakatan Rakyat (PR) partners led several state governments and became stronger, they too are now highly suspicious of independent candidates. Now, the PR spreads rumours like wildfire that independent candidates are government agents and are paid millions by the BN. The longer the rumour runs, the bigger the sum seems to get. The rakyat loves this and laps it up as inalienable truth. Yes, for some candidates, these allegations might be true. But we cannot simply generalise. I've got into some heated arguments over this. My opponents contended that if millions were placed before me, what would I do? Would I not be bought if I saw this huge amount in front of my eyes or in my bank account? So the assumption here is that everyone has a price. I do not agree. What of people who have sacrificed their lives for their beliefs? Take Ernesto Che Guevara, who gave up a ministerial post in Cuba and went back to the jungles of Latin America because he believed in liberating its people. What of Dr Norman Bethune (1890-1939), a Canadian physician who sacrificed his entire life to serve the people of China during the Sino-Japanese war when he could have made tons of money as a doctor in the West? 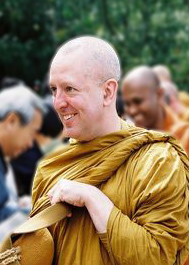 What of Ajahn Brahm, a nuclear scientist from Cambridge who could have led an upper-class life but went on to became a Buddhist monk instead? This was also true of a French Buddhist monk, Matthieu Ricard, who had a doctorate in biology from the prestigious Pasteur Institute, but gave up his material comfort for his ideals. And there are others who are willing to sacrifice material comfort to stand by their ideals. It follows that since there are now more political spaces, it makes sense for independent people who are concerned citizens to stand for election. Blogger Raja Petra Kamarudin says he cannot think like a politician because they tend to side with their political parties. He says he is a social activist who wants to be free from political bindings. Although I do not condone all his views, to some extent, I do agree with him on this one, because independent thinkers could be writers, could be in non-governmental organisations, and should be in politics. Observe what's happening in our Parliament today. When a BN component party suggests a certain policy or law, and it comes to voting time, all MPs vote along their respective party lines. A similar response can be seen when suggestions and views come from the PR. There is really no independent voting because we hardly have any independent parliamentarians, except Ibrahim Ali and possibly Dr Michael Jeyakumar Devaraj of the Socialist Party of Malaysia, who could be a moderating factor. The question is, why can't we have more independent candidates in Parliament who will not toe any party line? People who would be able to analyse policies and plans to see if they are for the benefit of the public, based on principles and integrity? When an independent candidate stands for elections, the majority of our voters prefer to elect the political party and not for the candidate. For example, in the recent Penanti by-election, only 46% went out to vote. Why couldn't those who abstained from voting overlook the fact that although the BN did not field a candidate, there were three independent candidates contesting against PKR? It is timely now that Malaysians listen to the candidate and his or her written manifesto, and if he or she wins, ensure that his or her promise is kept. Similarly, candidates from political parties shouldn't compromise their promises to abide by their main party's plans and policies. When a person becomes an independent candidate either in the state assembly or Parliament, there is a real danger that much inducement will be offered either by the BN or the PR, or both. Hence, such temptations will become the biggest test for an independent candidate, a pull between one's conscience and idealism on one hand and on the other, material comfort and greed. 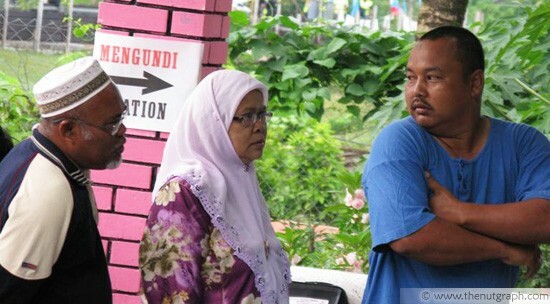 Voters during the Penanti by-election. But where were the rest of them? The other heated argument that I got into is, why must we jeopardise the attempts of the PR to overthrow the BN? When I argued that a third voice and a conscience must always be present in any political process, my opponent dismissed it as irrelevant. Have you come across people in this country who scream and shout for democracy but cannot tolerate someone else's differing viewpoint? Have you come across advocates of democracy in the public sphere who cannot practise it in their daily lives and in the domestic sphere? This is something I fear is happening to proponents of an absolute two-party system who cannot see the value of other independent voices. However, people should not be cowed into accepting the majority's point of view because the majority is not always right. Given some education and experience, people should have the freedom to practise what they believe, state their opinions, learn to accept differences in opinion, and accept responsibility for their beliefs and actions. After all, this is what democracy is all about — an inalienable right for everyone, immaterial of their gender, ethnicity and age, to express and act freely but responsibly. Rohana Ariffin is a trained sociologist and has served for more than two decades at Universiti Sains Malaysia, Penang. She teaches industrial relations and gender research. She is currently vice-president of Parti Rakyat Malaysia. I am pretty delight to have randomly stumbled upon this article. It's a pity that such an excellent article recieved zero comment. A lot of points made resonated with me. As much as I would like to see an end to BN's rule in Malaysia, I would also like to see more independent voice in the political scene, independent of BN and PR. Hopefully someday our parliment and DUNs will be free of the practice of voting along party lines. The fact is, due to poor English level of Malaysian, if someone can translate this into Malay and Chinese, I believe it would be better.